Had a major nostalgia kick (the funeral of Margaret Thatcher maybe?, the new Liberace biopic on HBO?) and ordered a Commodore VIC-20 on eBay. That’s right, the 5K RAM superstar that introduced millions of kids in the early 1980s to PEEKs, POKEs, GOTOs, and the rest of the colorful verbal arsenal of the BASIC programming language. I could have gotten a Commodore 64, but Bill Gates apparently said at the time I’d never need that much memory. 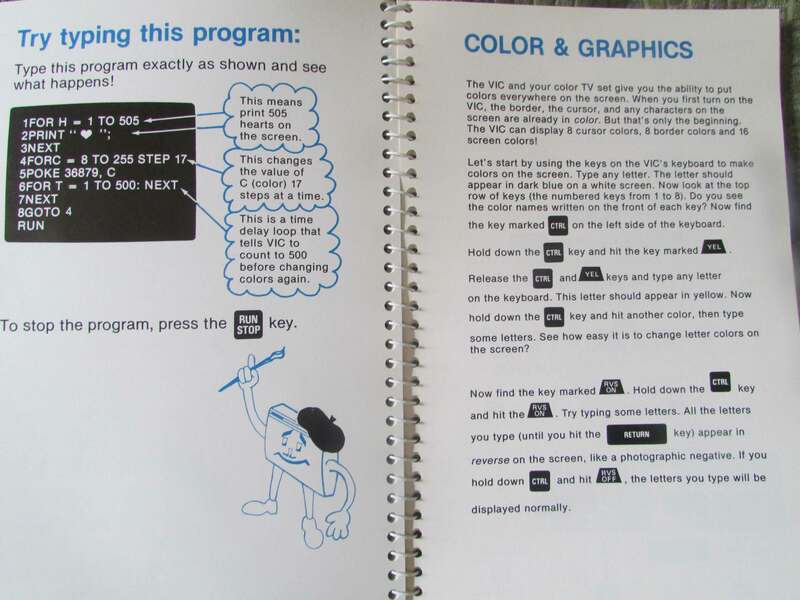 Poking away in my VIC-20 user guide. Still the best expression of what life was like in the PC/BASIC days. I’d better check my GOTO lines again.